You can sharpen your writing style and make your writing more readable by eliminating nominalizations. Nominalizations are unnecessary nouns, which can add wordiness to your writing and make it lifeless and indirect. Here’s an example of a needless nominalization, based on one of our academic editor’s edits of a text. Original text: For an adequate fish behaviour interpretation . . . The edited text: To adequately interpret fish behaviour. . . The editor has changed the noun interpretation to a verb, albeit an infinitive, which is a noun form of the verb, but even the infinitive form of the verb is more animated and direct than a lifeless noun, which is a thing. Many junior writers may believe that they must avoid personal pronouns at all costs, which they believe do not belong in academic writing. Avoiding personal pronouns means removing the doer of actions and therefore active verb forms, and can ultimately lead to nominalization. Here’s a discussion from Duke University’s Writing Studio on when you can safely use personal pronouns in academic writing. Knowledge of when personal pronouns are acceptable can help you decide when to choose an active verb and a pronoun over a nominalization. See more on nominalization here, which explains how nominalization is a type of wordiness. From the Physics department at Ohio State, is a list of useful writing guidelines for science writers. Reducing nominalizations is a frequent tool of academic editors. However, academic writers themselves can make their writing clearer, more direct, and therefore readable and quotable by removing nominalization wherever possible. 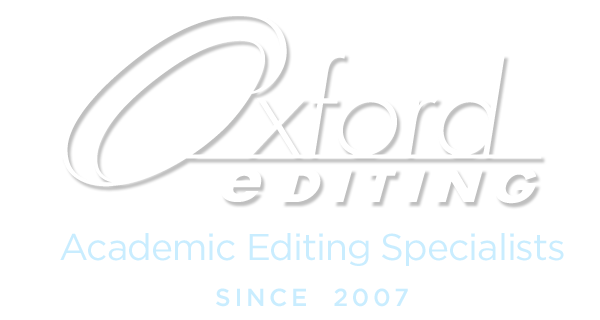 ©Susan Hatch Morgan and Oxford Editing, 2018. Unauthorized use and/or duplication of this material without express and written permission from this blog’s author or owner is strictly prohibited. 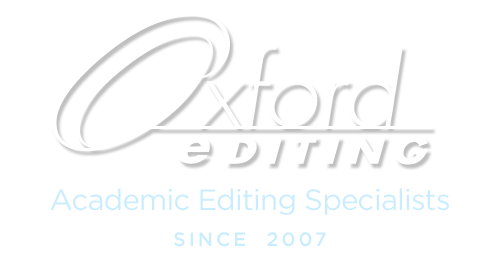 Excerpts and links may be used, provided that full and clear credit is given to Susan Hatch Morgan and Oxford Editing with appropriate and specific direction to the original content.